2016 was the year of surprises. From Brexit to Turkey to Trump, we saw prime ministers resigning, rating agency downgrades and collapsing currencies. Amazingly, everywhere except SA, despite the best efforts of some of our leaders. It comes therefore as no surprise that equity markets saw very little reason to celebrate. 2017 should look better. Join Jeremy Gardiner and the Quality team as they give you some insight into what you can expect. Moneyweb journalist, Prinesha Naidoo, covers some key points from our recent Taking Stock events, held across South Africa in March 2017. Analysis and commentary from across our business & investment markets. Highlighting the importance of ‘return on invested capital’. The Investec Cautious Managed Fund aims to provide investors with stable growth of capital and income over the medium term. The Fund may invest in a mix of South African equities, bonds, property and money market instruments, as well as international equities and fixed interest assets. The portfolio may invest up to 25% in international assets and a maximum of 40% in equities (local and global). The Investec Opportunity Fund aims to provide investors with stable growth of capital over the medium term. The international exposure is limited to 25% of total assets and the Fund may invest up to 75% in equities (local and global). The Investec Global Franchise Fund takes a differentiated approach to investing in quality companies. It invests in world leading companies from around the globe, many of which have long trading histories. It is a high-conviction 25–40* stock portfolio of primarily investment grade companies, which typically have high customer loyalty, strong brands, no debt and are more resilient in times of economic uncertainty. The Fund avoids capital intensive, leveraged businesses so holds no banks or resource stocks. Long-term track record of outperformance, with lower volatility and correlation with traditional benchmarks. Managed by a top team with a long history of employing the Quality investment style. Portfolio Currency Hedged Share Classes available, which hedge all non-US dollar currency exposure into US dollar. *These are internal parameters and subject to change without prior notification. Jeremy Gardiner presents the key highlights from his Taking Stock outlook for 2017. Clyde Rossouw talks to Lindsay Williams about his quality investment approach while on the road for Taking Stock 2017. Jeremy summarises the key events affecting global markets today. Clyde Rossouw outlines the current market environment and how it is affecting his portfolio positioning. Rob is head of research for the Quality team and is responsible for design and implementation of the research process. Prior to this, he was head of the industrial, consumer and technology sector in the Frontier & Emerging Markets team, a position he assumed in 2003. Rob was previously a sector equity portfolio manager, whose responsibilities included the Momentum Industrial Fund (Unit Trust) and a building block of the SYmmETRY range called the Old Mutual Industrial and Consumer Fund. In addition, Rob managed the Investec Growth Fund unit trust for two years to 2001 and the Investec Global Consumer Fund for close to two years, after its launch in 1996. 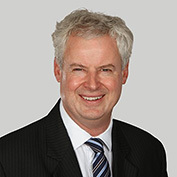 Rob joined Investec Asset Management in 1995 as an investment analyst. He has spent more than 15 years analysing global consumer branded companies. He graduated from the University of Cape Town with a BBusSc degree in Finance. 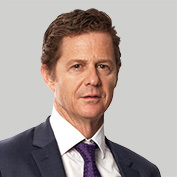 Jeremy Gardiner is a regular voice in the media, at conferences and to the investment-related world at large, responsible for commenting on current affairs, economics and investment markets. With the company since 1992, Jeremy has been with the firm for 25 years, during which the business grew from a small Cape Town Asset Management firm to a significant global business managing clients assets in excess of R1.6 trillion. Jeremy also served on the board of Western Province/Stormers rugby from 2003 to 2005, a period in which their performance was particularly poor! Although he studied accounting at the University of Cape Town and Economics at the University of Witwatersrand, Jeremy is neither an accountant nor an economist, but uses these skills to demystify what the accountants and economists are saying. Khaya is the strategy leader for Africa and South Africa within our Quality team at Investec Asset Management, where he is responsible for South African and Pan Africa listed equity research and investments. He initially joined the firm in 1999 working on the frontier and emerging market equities team where he progressed to a portfolio manager. In 2005, Khaya left the firm to establish Afena Capital, an investment management firm operating in South Africa and Botswana, where he was chief investment officer and a senior portfolio manager being responsible for leading and managing the investment team. Khaya graduated with a Bachelor of Commerce from WITS University in 1999. Thereafter he became a CFA Charterholder in 2002 and obtained a Master’s degree (by distinction) in Investment Management at CASS Business School City University (London) in 2004. 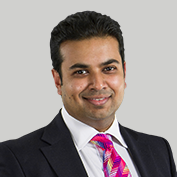 Sumesh is a portfolio manager at Investec Asset Management within our Quality team. 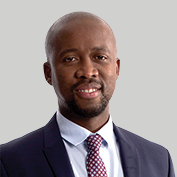 He has responsibility for our absolute return strategies and is co-portfolio manager of the Investec Cautious Managed Fund and the Investec Absolute Balanced Fund. He joined the firm in 2007 from Metropolitan Asset Managers where he managed the Metropolitan Absolute Return Fund from 2005. Before joining Metropolitan, Sumesh spent three years as an investment actuary at Metropolitan Employee Benefits, where he was responsible for managing smooth bonus funds. Sumesh began his career at Swiss Re Life & Health, where he spent over three years as an actuarial specialist. Sumesh graduated from the University of Cape Town with a Bachelor of Business Science (Hons) degree in Actuarial Science and a postgraduate diploma in Actuarial Science. He is also a Fellow of the Institute of Actuaries in the United Kingdom. Clyde is Co-Head of Quality at Investec Asset Management. He is portfolio manager with a focus on multi-asset absolute return and low volatility real return equity investing. His portfolio manager duties include our flagship Opportunity Strategy that he has run since 2003 and our equity oriented Global Franchise and Global Quality Equity Income strategies. 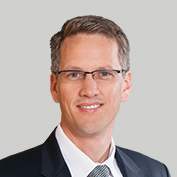 Clyde joined the firm in 1999, initially as an asset allocation and sector allocation strategist. Prior to Investec Asset Management, Clyde was awarded a study bursary by Sanlam where he worked for eight years, including five years in asset management. His experience in investments there included fixed income analysis and portfolio management.